Top Rated Local® is pleased to announce that Pixil Studio, serving the Denver area, is an award winner for their excellent Rating Score™. Here’s how they build their exemplary reputation. Bryan Grant is an experienced photographer in Denver that focuses on destination wedding photography with a photojournalistic approach, corporate photography, headshots, portraits and special event photography. Bryan serves both national and international locations and specializes in mountain weddings and events. His local network includes Denver, Vail, Beaver Creek, Breckenridge and Keystone. Look Pixil Studios‘ reviews and one word will stand out: professionalism. 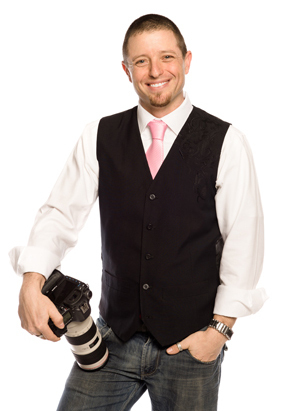 Bryan is a pro, but his personable approach helps clients relax so they capture natural, attractive images. His great work and fast turnabout contribute to his 99.4 Rating Score™ . Bryan took a moment to share how he keeps clients happy and earns his excellent reputation. I do good work, and they leave the review on their own. What makes you different? In other words, if you had 1 minute to sell somebody on why they should choose you, what would you say? Keep things simple. Give the clients what they ask for. Affordable prices. It offers a different opportunity every day. Bryan’s brief answers get to the core of reputation management. In the end, it’s not complicated. Pixil’s reviews demonstrate something that will go a long way with reputation: respect people’s time. Many people mention that he keeps to the agreed schedule, from when he arrives to turnaround for delivering work. Give clients what they ask for (his reviews make it clear he gives them more than they ask for). Offer value backed by professionalism. Quality is key. Service is key. Value is key. Key to opening the door to a great reputation and loads of referrals.